The one-stop shop to meet your travel needs is having their first mega sale of the year! 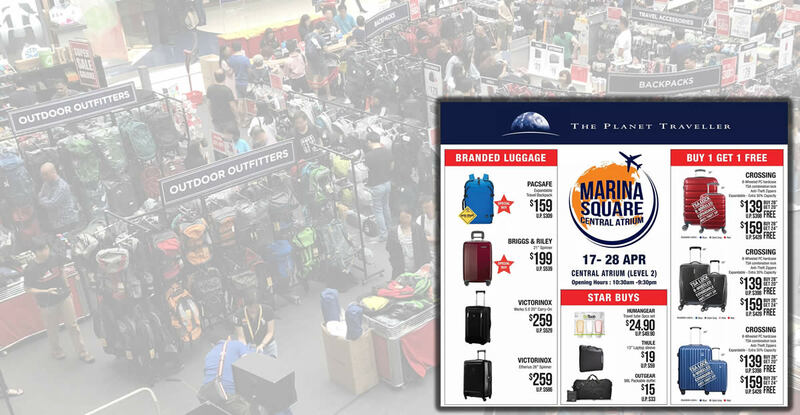 The Planet Traveller will be hosting a fair at Marina Square for two weeks, from 17 – 28 April 2019. Bargain hunters, watch out! 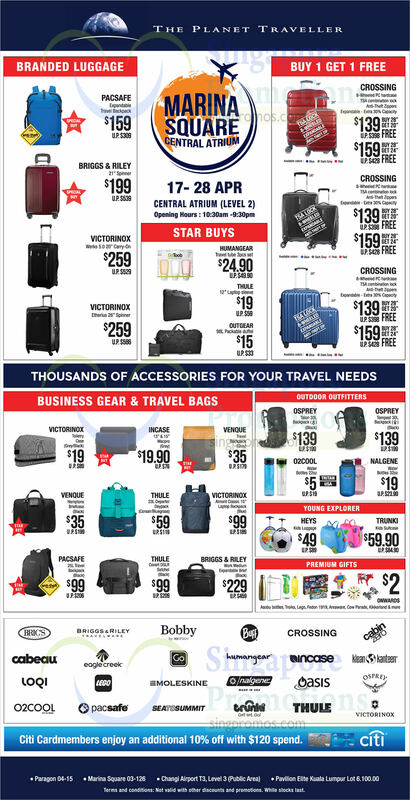 Special buys at great discounts from well-renowned brands, including: EAGLE CREEK, KLEAN KANTEEN, MOLESKINE, NALGENE, OSPREY, PACSAFE, THULE, VICTORINOX and many more. Enjoy up to 90% off travel gear, luggage, personal accessories and wallets. Don’t miss attractive discounts and special buys including this “Buy-One-Get-One” promotion, below! Citi Cardmembers enjoy an additional 10% off with $120 spend. Not a Citibank cardmember? Apply for a Citibank card for a limited time & get free sign-up gifts! Visit www.citibank.com.sg for more info. Seize this opportunity and get attractively discounted products (inclusive of one-for-one promotions), ranging from travel and personal accessories to bags and winter essentials.